Large, beautiful blossoms lay upon the water in the Japanese Garden at the Missouri Botanical Garden. 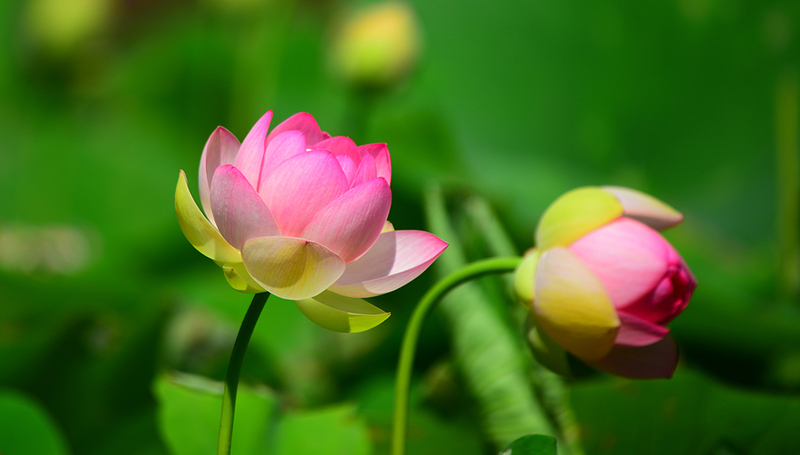 The sacred lotus, Nelumbo nucifera, is a rhizomatous aquatic perennial native to the rivers and ponds of Asia and northern Australia. The plant’s life cycle is steeped in symbolism, as stalks and leaves ascend from muddy soil and still waters to form a large, beautiful blossom that opens as wide as 12 inches across. The Garden’s collection of Nelumbo nucifera includes “Empress,” “Alba Plena” and “Improved Egyptian Pink” in the Japanese Garden. The plants are planted in a large enclosed bed along the banks in the southeast corner of the lake. All buds don’t open simultaneously, so the overall peak season of bloom of the collection lasts for about two weeks. 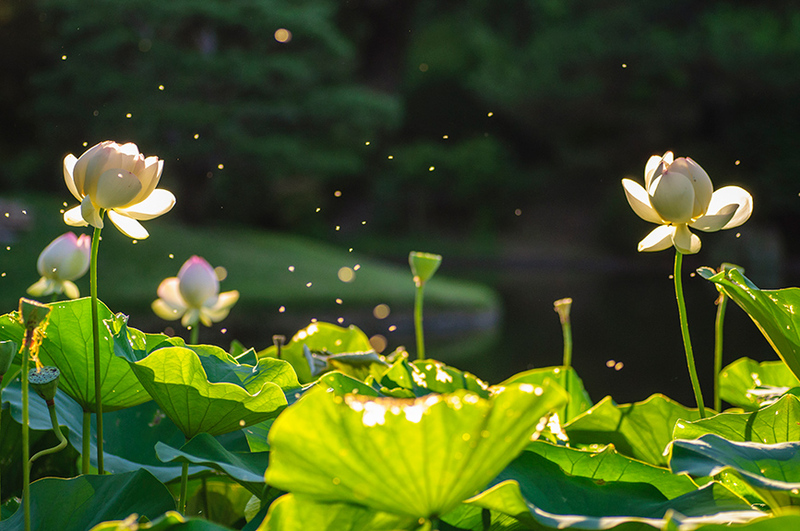 Look for the lotuses' expansive canopy of blue-green leaves, up to two to three feet in diameter that lay flat upon the water, or rise on stalks more than five feet above the water line. Their leaves are coated with a waxy substance that causes water droplets to bead up on the surface.